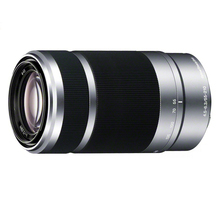 The silver Sony E 55-210mm f/4.5-6.3 OSS E-Mount Lens features extra-low dispersion glass, a broad zoom range and aluminum alloy construction. On an APS-C camera, this zoom lens has a 82.5-315mm focal length range, suitable for event photography and portraiture alike. Internal focusing and linear motor-driven AF system help create responsive yet quiet focus while minimizing mechanical noise. Additionally, a separate manual focusing ring capable of Direct Manual Focus allows seamless transitions from AF to manual focusing. Two extra-low dispersion elements, combined with Sony’s Optical SteadyShot (OSS) image stabilization, improve the overall quality of images captured at the telephoto end of the zoom range, especially while shooting in low-light conditions. OSS is capable of reducing the appearance of camera shake by up to four stops. 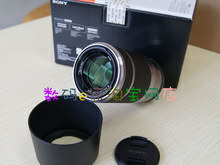 An aspherical focusing lens located in the center of the optical path help to reduce aberrations throughout the zoom range as well as improve the AF response time of the lens. Optical SteadyShot image stabilization is capable of compensating for camera shake up to four f-stops, useful for handheld shooting in low-light conditions at the super-telephoto end of the focal length range. Two extra-low dispersion glass elements and an aspherical focus lens help to reduce chromatic aberrations and distortion throughout the zoom range while maintaining image sharpness and clarity. 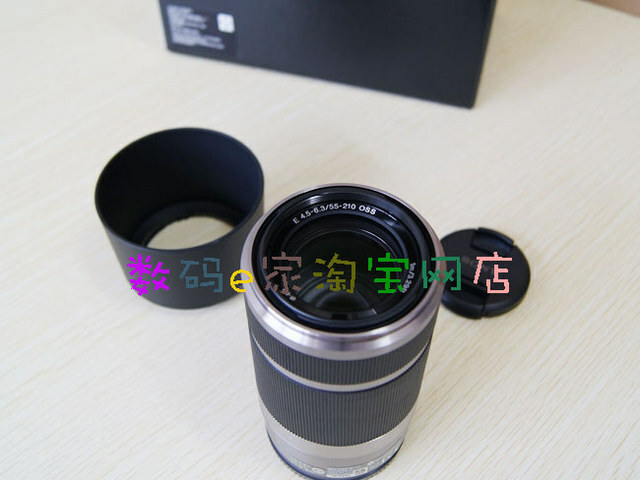 Zoom lens provides a 35mm-equivalent focal length range of 82.5-315mm, providing a broad range of telephoto perspectives. 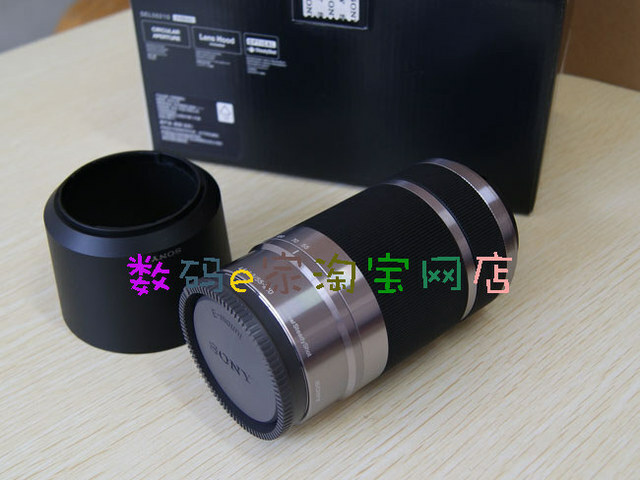 Internal zoom and focus design helps to maintain a constant lens length with a non-rotating front element to support efficient use of polarizing filters. Internal AF drive utilizing a linear motor and aspherical focus lens to achieve smooth focus while minimizing mechanical noise. Direct Manual Focus permits autofocus override without switching the camera’s focus mode.